What is it like to be completely new somewhere? 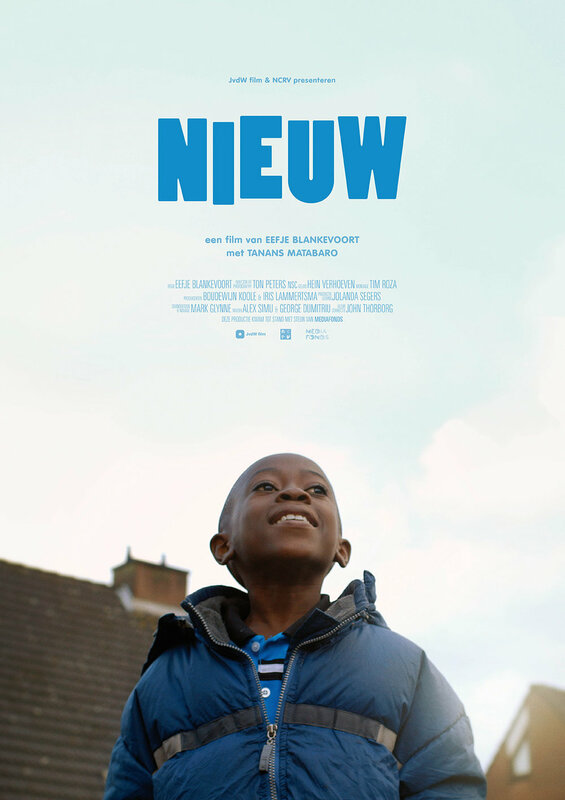 That’s what Eefje was wondering when she was working on the youth documentary ‘New’, about the eight-year old Tanans who came from Uganda to live in Spijkenisse from one day to the next. She followed his first weeks in The Netherlands and looked to our puzzling society through his eyes. With big eyes eight-year-old Tanans looks around. The new school year has just begun. That is exciting for all pupils, but especially for Tanans. In the cheerful liveliness of the classroom Tanans does not recognize a single word. The shouts, the words and sentences in Dutch are unfamiliar noises to him. Tanans has only been in the Netherlands for a few weeks. He does not speak the language, understands nothing of the local customs and has not made any friends yet. Tanans is Congolese, but he grew up in a refugee welcome zone in Uganda. Together with his family he has come to the Netherlands as an ‘invited refugee’. In ‘New’ we follow Tanans on his journey of discovery. For the first time he lives in a beautiful house, tries to find his balance on a bike, speaks Dutch. But above all, he tries to make sense of this strange, new world. This is often funny and amusing, and very exciting. For how do you make friends if you don’t speak the same language? ‘New’ was screened at more than 40 festivals around the world. Check the complete list here. New is a co-production with production company Witfilm. New (NCRV’s Dokument Junior) was screened at Humanity House in The Hague on 30 January 2014. The film was broadcasted on Dutch National television on 2 February 2014.